Read what our children's social work staff feel about their careers in Thurrock. 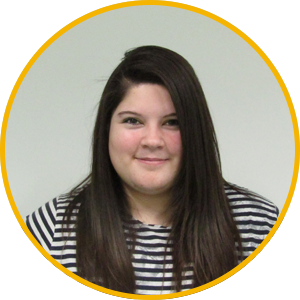 "I decided to apply and work for Thurrock for three reasons. Firstly, its locality – I grew up in Essex and know the areas very well. Thurrock is just outside of London and has very good transport links. "Secondly, Thurrock is a small borough where the majority of the services you need are all working within the same office. I can go and find who I want and have a meaningful conversation with them. "Finally, the ASYE programme that Thurrock offers to Newly Qualified Social Workers (NQSW) was great in introducing us to social work. The biggest challenge I have experienced so far is that transition from student to practitioner and this is where the academy suited me perfectly. The academy offered a lot of training which prepared me for what I was about to face. You also have a Practice Educator to support you whenever you need it. "I enjoy my job. Thurrock is very friendly and I have a great team who are there to offer support when I need it." "Thurrock is a small authority that is striving to have a stable and consistent workforce for the children and families we all work with. The borough is still growing with new housing projects being undertaken and has a lot of facilities and amenities available to its growing and diverse population. It is a warm and friendly place to work and offers competitive rates of pay and is also a nice place to live. "The council is very supportive of continual professional development and I am currently working towards changing my BA Hons degree to a Masters, which is supported and funded by Thurrock." 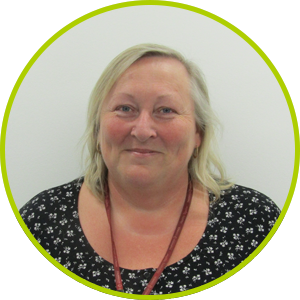 "I am a Senior Practitioner in the Fostering Team in Thurrock Council and I have worked for Thurrock for the last 6 years. I started at Thurrock as a Newly Qualified Social Worker. I began in a Child Protection Team. I then moved on to the team that is now the Children and Family Assessment Team. Being in both of these teams was a great learning experience. I was able to learn about working with families and assessing risk. It was really positive to be able to move team within the Local Authority to have new experiences. "Within my time in Thurrock I have also concentrated on my training and development and am just completing a Post Graduate Masters in Advanced Social Work. I am also doing some training with the Tavistock in Child and Adolescent Mental Health. The council has been excellent in supporting this development. "I am also currently the social work representative on the retention and recruitment board. This has allowed me to impact upon the strategy and advocate on behalf of my colleagues. I have been in Thurrock Council for a long time now and can honestly say I work with some amazing people who I am fortunate enough to be able to call my friends."